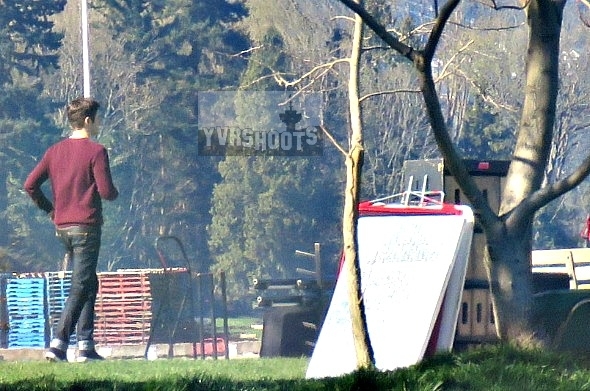 May 10th Update: In The Runaway Dinosaur, Barry fights to return to his old life. 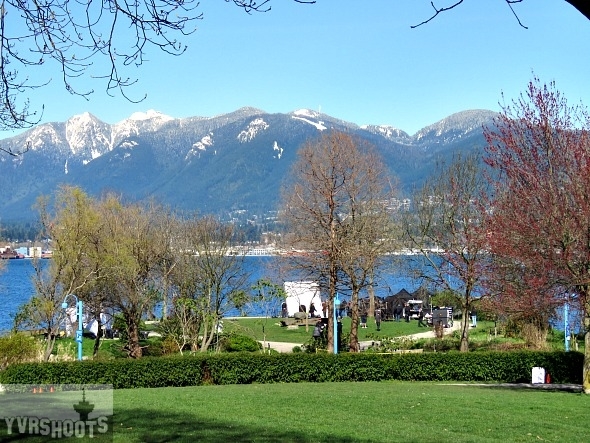 The Flash filmed Barry Allen (Grant Gustin) [with Iris West (Candice Patton) as the Speed Force] at Vancouver’s Crab Park today. 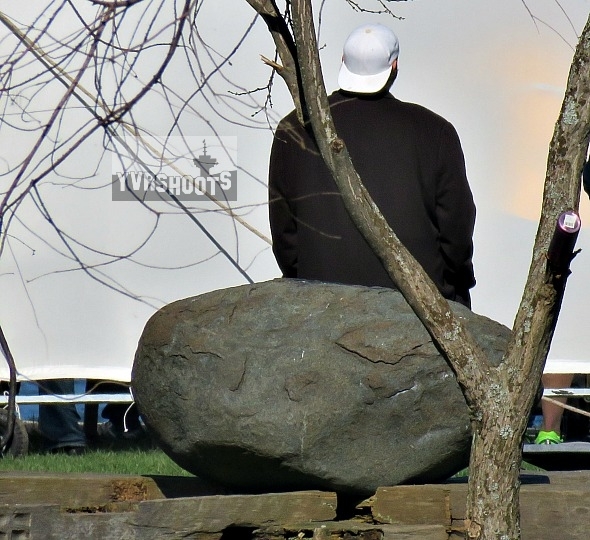 Kevin Smith aka Silent Bob is directing the episode. 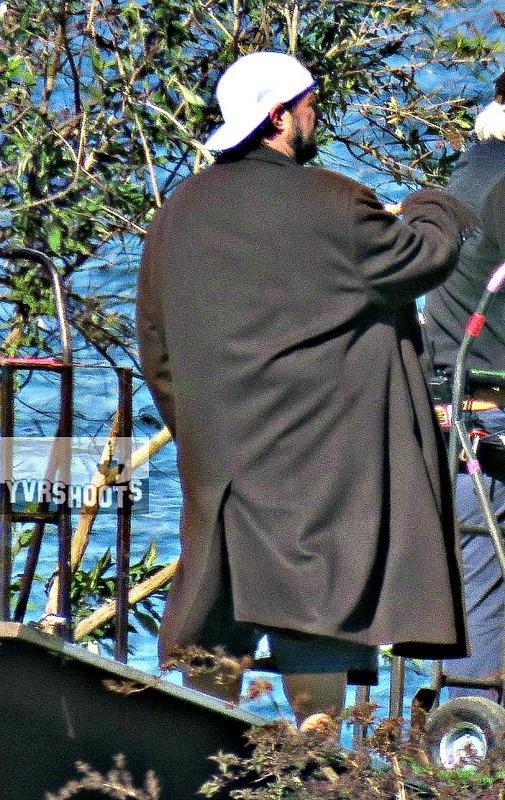 He did not disappoint, wearing his signature backwards white cap, big coat, hockey jersey and jean shorts to set. 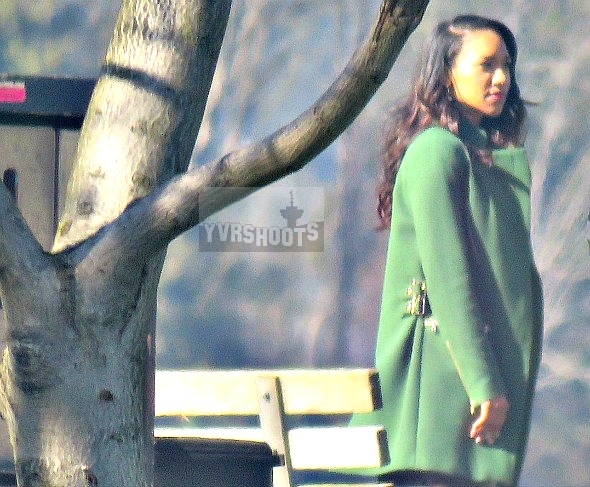 Candace Patton came out between takes with her red down coat over her costume while Grant Gustin sat on the pier enjoying the sunshine. 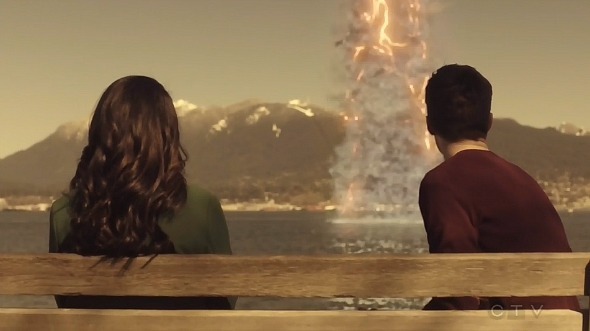 In the last scene, production pushed park goers down to the beach to clear the slope so that Barry could leave and run up from the waterfront. 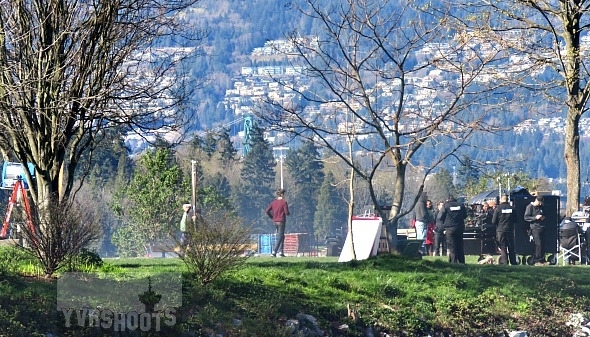 Grant Gustin jogs back after running up the slope. 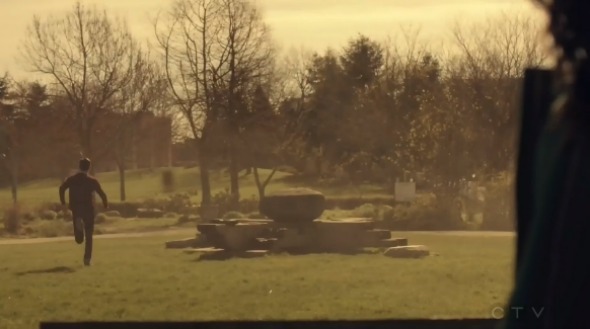 Same episode the following week in Mountain View Cemetery.